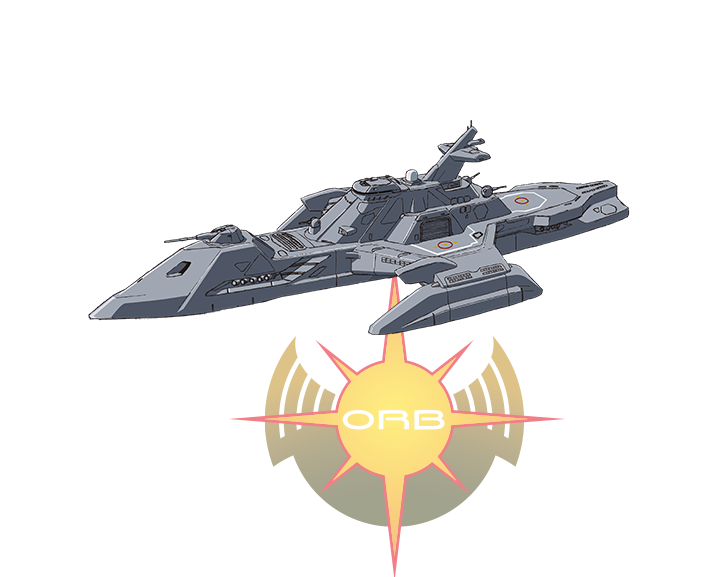 The Orb forces main ships. Its hull is of trimaran type. It hold its own in combat with its offense ability and mobility. Though it lacks to carry MS, it features landing pads for combat craft as well as mobile suits.